It is often said "there is no faster way to heat water than direct steam injection". That may be true, but there is also no more expensive method from an operating costs. From an ongoing expense standpoint, any system that allows for the re-collection of condensate and its return to the boiler will save money. 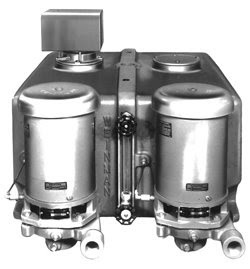 Direct steam injection pasteurizers and warmers can generally be converted at a reasonable energy payback to return condensate to the boiler. What's so big about condensate? (Most importantly) it has heat. The condensate brings hot water back to the boiler which does not need the heat or chemicals which new water coming into the boiler would need. Click here for a great article on estimating the $$ associated with returning condensate. Existing direct steam pasteurizers and warmers can generally be converted to coils, or a single heat exchanger to Hot Water with a fantastic energy savings.